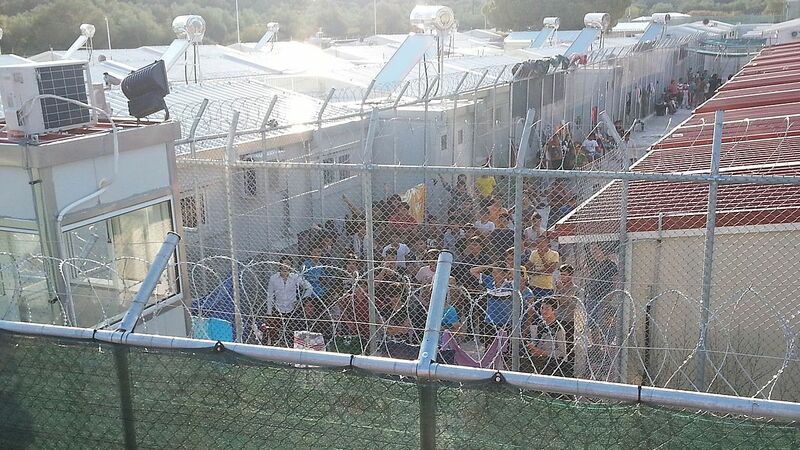 The European Asylum Support Office (EASO) must be held to account for blatant failures in its work in the Greek Hotspots. Therefore, ECCHR in September 2018 requested the European Ombudsperson to review her decision to close the inquiry into maladministration by EASO in the reception centers on the Greek islands. ECCHR urges the Ombudsperson to make an explicit finding on past wrongdoing and to issue recommendations for the future. EASO should not operate in a vacuum of accountability, especially when it concerns the lives of vulnerable individuals. The request highlights that holding an EU agency accountable on issues of legality and fundamental rights falls squarely within the mandate of the European Ombudsperson. In its initial complaint from April 2017, ECCHR had raised serious concerns about the inadmissibility decisions under the EU-Turkey Agreement. The complaint argued that EASO's role in the decision-making process amounts to maladministration. In July 2018, the Ombudsperson acknowledged the concerns regarding the extent of EASO's involvement and the fairness of admissibility interviews conducted by EASO personnel. However, the Ombudsperson decided not to take any further steps. According to ECCHR's analysis of a series of admissibility interviews conducted on the Greek Islands, EASO officers fail to respect core standards of fairness. The interviews do not permit a fair assessment of individual cases, they do not give room for a thorough investigation of vulnerability and they lack a critical evaluation as to whether Turkey qualifies as a safe third country for the person concerned. Thereby EASO not only violates its own guidelines for conducting interviews, but its involvement in the procedure goes beyond the scope of its powers under EU law. Consequently, applicants for international protection are deprived of a fair hearing and denied the chance to present and substantiate their asylum case. Admissibility interviews form the cornerstone of the administrative procedures: if an asylum claim is rejected as inadmissible, Turkey must, under this arrangement, readmit the person concerned. The European Asylum Support Office is the agency that conducts the interviews and recommends a decision to the Greek Asylum Service. Thereby, it plays a decisive role in the assessment of the (in)admissibility of applications for international protection. ECCHR has serious concerns as to the legality and legitimacy of EASO's actions in the context of the EU-Turkey Statement. EASO was established in 2010 with the mandate to support Member States in providing international protection. In 2016, the agency deployed numerous experts to the Greek Hotspots in order to assist with the "extraordinary measures" stipulated in the EU-Turkey Statement. EASO officers conduct interviews and recommend a decision to the Greek Asylum Service, who in practice rely on EASO's recommendation without posing any questions to the applicant themselves. The EU Ombudsperson is an independent institution tasked with holding the EU administration to account for failures to respect fundamental rights or legal principles. The EU Ombudsperson is responsible for investigating complaints relating to maladministration of EU organs.